1 Madonna performs at the 57th annual Grammy Awards in Los Angeles, California, Feb. 8, 2015. 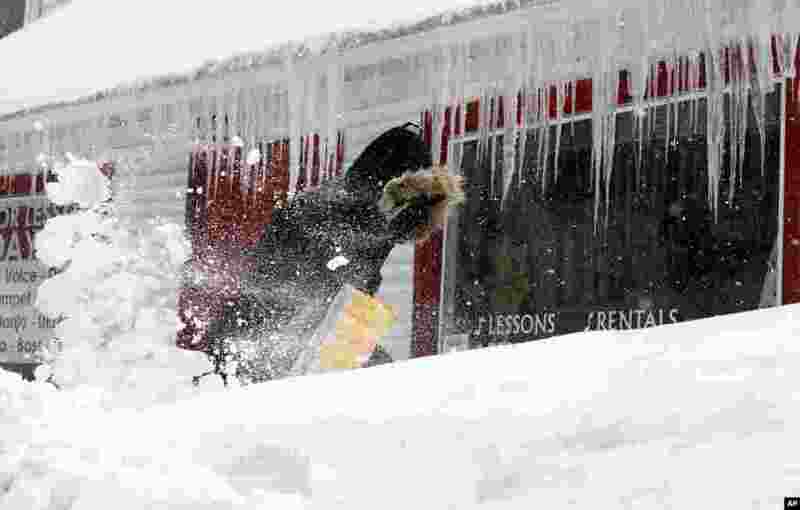 2 Corbit Larson clears snow in front of his Centre Music store in Framingham, Massachusetts. A long duration winter storm that began on Feb. 7 night remains in effect for a large swath of southern New England until the early morning hours on Feb. 10, 2015. 3 Drummers perform "HeartBeat" by Stereotank, a Brooklyn-based design studio, which is the 2015 winning Times Square Valentine Heart produced by the Times Square Alliance, in New York City. 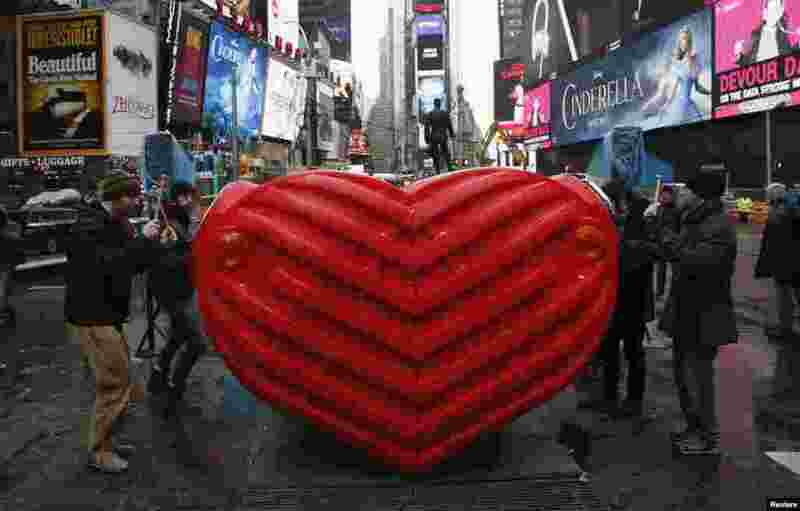 The interactive sculpture consisting of a massive heart that visitors are encouraged to move around and play various percussion instruments on, is installed at Times Square and open to the public until Mar. 8. 4 People watch as Mt. 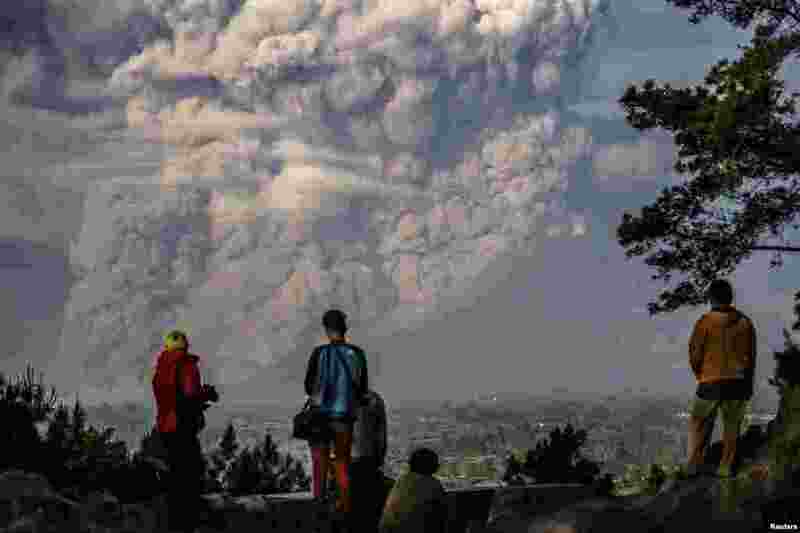 Sinabung ejects ash into the air during an eruption in Karo regency, Indonesia's North Sumatra province in this photo taken by Antara Foto.